I want take a small break from Scope Management and V-Diagrams to talk about Schedules. 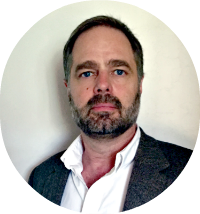 Specifically, I want to discuss how some project managers place their emphasis on the wrong things when putting schedules together– but before we do that, we first we need to understand how a schedule is assembled from the ground up. Nothing surprising here, right? If you’re planning to build a house, you first create a list of all the things that have to be done. For instance, you know you have to dig and pour foundations, erect structural walls, put a roof on, install interior non-structural partition walls, install plumbing & electrical, finish out the interior, paint the exterior, landscape the grounds, etc. This is step one in the PMI process: defining all of the individual tasks and activities that have to occur during the course of your project. This step naturally is created from your WBS. Next, you sequence all these activities in logical, dependent order. For example, you know you can’t install the roof until the exterior framing walls are erected, so these two activities have to be logically linked with a predecessor-successor relationship. Conversely, you could start painting the exterior walls before the interior is completely finished, so there isn’t a logical dependency required between these two items. You work through all of your activities and put in place these relationship dependencies. The result is a natural “sequencing” of the work that has to take place. Once the sequencing of activities is complete, you next need to determine what resources are required to perform each of the activities. For example, you might determine that you need a team of at least three staff carpenters to erect the structural frame of the house, two contracted pipe fitters for the plumbing work, and a competitively-bid contract for the roofing work. These resource estimates are needed for the next, penultimate step in the process, which is to estimate the time required to perform the individual activities. In addition to the resource requirements and their availability, you also use things like past experience, vendor estimates, and other bottom-up analyses to refine the activity durations. The WBS, whose initial creation is typically led by Systems Engineering with input from Project Management, is used to define the major subsystem tracks within the IPS. 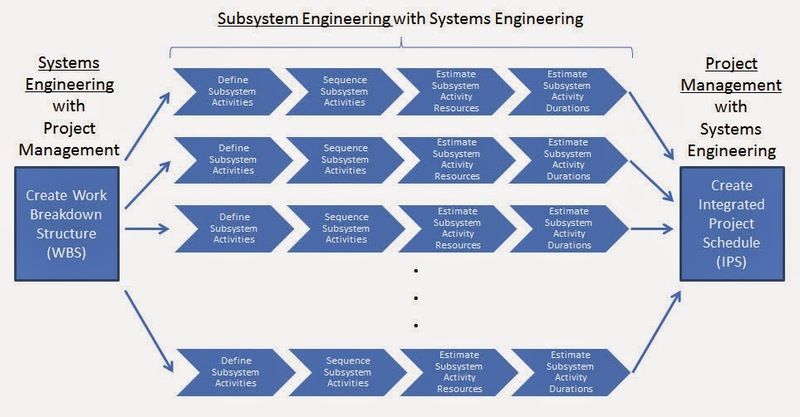 The activities, sequencing, resource requirements, and durations of the subsystem track tasks are then usually determined by the individual lead Subsystem engineers, with input, guidance, and oversight from Systems Engineering. Finally, all of this is collected and assembled into a master Integrated Project Schedule by Project Management. During this last step, Systems Engineering has to play a key advisory role, to help improve efficiencies, minimize resources, and work to shorten and refine the critical path activities. 2015 Mark H.Warner. www.projectmangementforengineers.com All rights reserved.